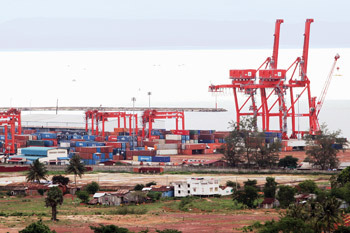 Expansion is planned at Sihanoukville Autonomous Port, pictured last year. Camboida aims to construct an US$88 million addition to Sihanoukville Autonomous Port partly to facilitate oil exploration, according to company officials. The project will be funded by the Japanese government and aims to provide a multi-purpose facility capable of handling 300,000 tonnes of cargo per year, said port Chairman and Chief Executive Officer Lou Kim Chhun. “We hope the new port will be able to ship farm products and wood for producing paper, as well as support the activity of exploring for oil and gas,” he said. The $87.88 million addition is slated to sit on 15 hectares of land, with work to begin in November. It is tentatively scheduled for a June 2014 completion, and is planned to sit near existing port facilities, according to Lou Kim Chhun. Government authorities and the funding partner are now seeking consultants and construction companies to build the port, and aim to include the scheme in the 2010-2011 working results of the Ministry of Public Works and Transport. 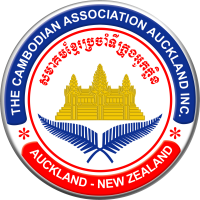 Cambodian exporters today voiced support for plans to expand the port’s capabilities. Chan Vuthy, general director of Golden Rice Cambodia, said increased capacity would aid the firm with shipping produce in large quantities to international buyers. “We will study the capacity of using the multi-purpose port as a basic part of exporting process for the time to come,” he said today. Golden Rice Cambodia has been increasingly shipping rice to Europe in recent years, benefiting from relaxed import duties under the European Union’s Everything But Arms initiative. Sihanoukville Autonomous Port shipped goods totaling 2,217,000 tonnes in 2010, officials said earlier this year. The port – which is a state-owned enterprise – is also set to list on the Cambodia Securities Exchange. Japanese-owned SBI Phnom Penh Securities has been selected as the underwriter for its Initial Public Offering. Sihanoukville port generated $28.42 million in revenues last year, according to pre-audit figures. The previous year it generated $25.15 million, according to data obtained earlier this year. Last month, Lou Kim Chhun said that it was still being finalised what port assets would list on the exchange.